We never leave home without Goldfish. These little snacks cheer up a grumpy toddler and keep a preschooler from STARVING when dinner is delayed at arriving at the table. A must have for every outing. Even keeps them quiet during church. Using Goldfish as to go snacks are great! They fit perfectly in our little containers for my twins. we always took goldfish with us on our roadtrips! When we had a movie night with the kids, and added goldfish in with the popcorn. We have done little scavenger hunts using the easy open plastic Easter eggs. The little ones love it! Place a Goldfish or two in each one and hide in easy to spot safe places. Confine it to one room. Is great for nights and rainy days. Good for ages-2 thru 6! I like planting and growing a garden with kids. Then goldfish for snacks. I use Goldfish crackers with my fruit and berry mix. We enjoy Goldfish crackers right out of the box. I mix Goldfish crackers in with my Chex Mix to bring smiles to the grandkids’ faces. They love Goldfish in tomato soup as well. My son and I love watching movies and eating the original Goldfish crackers! My granddaughter loves to eat Goldfish crackers for an after school snack. Goldfish crackers bring big smiles to the kids knowing that they are going to be happy and quiet with them. I love goldfish crackers, but I cannot think of any special tales to tell. This post does give me an idea for making a cake this summer with blue frosting to represent the ocean and goldfish swimming on top. Our dog loves goldfish and everyone gets a kick out of watching him eat them. We love having goldfish, and will be using these activities with my grand kids. Other then throwing them in each others mouth, I’m hard pressed for any other creative thing I might have done with them. Heck the wife’s the creative one, she’s probably with 2 kids done all kinds of things, but she’s asleep, don’t want to wake her up with, “Hey hon, creative stuff you’ve done with fishies?”(BTW that’s what we call them). ! These are such creative ideas for our children. We’ve used goldfish for art projects and always to eat but never games so this will be fun for my twins. I just found and printed a trail mix recipe called Bear Lake Trail Mix. One of the ingredients is Goldfish. I plan on making it with my granddaughter, Nellie. She is only three but she can help me measurer and stir. Plus she loves Goldfish. We love snacking on goldfish. Kids like to flick them to each other across the table. when it is snack time they love having goldfish. My son always loved to count his goldfish! I am loving all the fun options, I am always down to plat with some food and have some fun with it too! Goldfish crackers are often my boys’ after game snacks. So they love eating their goldfish on the way home and discussing the games. It always brings lots of smiles and laughs. We enjoyed recently, creating an ocean scene using Goldfish, as the fish, graham crackers as the aquarium, blue frosting and green decorative frosting…so fun! My son and I share goldfish on out treasure hunt walks outside. We add this to macaroni and cheese. My daughter loves pretending to have her goldfish swim into her mouth. Sharing Goldfish while on a family outing to the local amusement park or to the zoo really put smiles on our faces! We like to bring Goldfish with us when we go to the drive in. Fun times! My daughter loves the colorful Golfish. She sorts all of the colors into different piles before she eats them. Sharing a Goldfish cracker snack with my son after a long day at the park brings a smile to my face. They are an easy snack for on the go. We used goldfish crackers for counting when the kids were little. We love GoldFish in my home! We glue them on paper to create Ocean settings when we learn about sea life and even put them in blue Jello to make it look like fish swimming! I love the activities you posted, especially the blowing them across a finish line with a straw. That will make a great party game for my sons birthday party next week! We did a whole under the sea unit for homeschooling and goldfish work great in crafts and as snacks. Eating goldfish during family movie nights always puts a smile on our faces ! I’ve used goldfish as centerpiece decorations for kids birthday parties. The best one was in a shark mouth shaped candy dish with goldfish and red sweedish fish, at a beach themed birthday party. My kids and I used to go on the hillside and park and eat goldfish crackers and watch the thunderstorms roll in. Best moment are watching the kids get all excited and giddy when I tell them they can have them! My daughter is in her 20’s and STILL wants Goldfish. The best part is that now SHE can buy them for herself! I like to pack Goldfish Crackers for my kids for their school lunches. I posted a tweet: https://twitter.com/FireRunner2379/status/602628138825297921. Making artwork using Goldfish Crackers is always fun with the kids. They’ve glued them on paper before into shapes like faces on animals. I think just eating goldfish crackers is enough for my family to smile! smiles on their faces putting them in their soup. I love having Goldfish as the prize at kids’ fishing ponds! The best moments with my daughter when she plays with Goldfish in her soup. The best moments are sharing them with my stepdaughter in the summer time! She loves them! The best moments are sharing the goldfish crackers with my dad, and when we discovered that the pizza ones taste really good in tomato soup. My son loves goldfish crackers and pretending they’re swimming. We used to eat Goldfish crackers on our way to show cows at the fairgrounds when I was in 4-H as a child! I got some cute smiles from my girls last week when I bought them some of the new princess Goldfish crackers. They are a little older so they thought this was cute. Thank you! There are always smiles when my son brings Goldfish to share with his soccer team! My grandchildren and I enjoy eating GoldFish many different ways :) and like you I have tried with them a couple of games, usually we try to get the goldfish into a cup , we even have painted them :) and also used them in fake fish bowls .. I will have to try this game with them , something new and I know they will enjoy this :) thanks for sharing. My daughter was always smiling big when I bought a bag of Goldfish crackers. Thanks for the giveaway! We let the gold fish “swim” in blue jello. Doesn’t sound appealing to me, but whatever makes the kids happy! We do a craft by making construction paper 3d fish tanks and gluing on pop rocks and goldfish crackers. My twins are in a big “ocean loving” phrase right now. They like to play with the fish before they eat them. Which is totally fine, food was made for exploring! We would use the Goldfish crackers when playing Tic Tac Toe. Goldfish are a healthy snack so they are part of our everyday life! We take them in small containers when we travel and they are fun to eat :) the colored ones are a great teaching tool for the little ones. Sharing them with the family while we watch a movie. We ate goldfish on a road trip whenever we saw an out of state license plate! I take Goldfish crackers to the beach. I keep gold fish on hand for when the grandkids come, they love them as a snack. My kids trying to catch them in their mouth after tossing them brings big smiles. since my kids are young for candy they look forward to getting goldfish for easter and in their stockings at Christmas. I have packages of Goldfish crackers in my pantry-my grandchildren know exactly where they are! Often when we go on road trips, I pack a small bag of Goldfish crackers for each of my kids. It’s a great snack & they love it. I was a little girl and my older sis and I loved eating goldfish crackers! Even remember the little smiley face on them. Brings a smile to my face even now. I used to use goldfish crackers in the classroom to teach counting and numbers. When my kids were young, we ALWAYS had goldfish in the house. And I always had goldfish in my diaper bag, in the car, packed for swim meets, etc. As they got older, though, at some point I just stopped buying them. And last summer…when my kids (now teen & tween) were at the grocery with me, I saw that goldfish were on sale. And I pointed that out to my daughter…and she & my son both HAD to have them. And asked why we never had them anymore! And demanded that we always have them in the house again! The fact that they felt so connected to something like that from their young years made me my smile! Floating goldfish crackers in our soup always makes us smile! I have three boys and once they were finished with baby food and moved on to “real” food, I gave them goldfish crackers. The look on their faces was priceless, every single time! Goldfish crackers are a great snack to keep in a baggie in your purse for “emergencies.” I make a trail mix using fun things like goldfish, m&ms, and other things as a surprise treat on long car trips! Goldfish crackers are one of my grandsons favorite snacks, we take them to the park a lot for a snack. He gets excited to see what variety/flavor Grandma bring s home. We love Goldfish crackers. One year we decorated a cake to look like a fish bowl and used the crackers as the fish. My nieces and nephews love to take Goldfish crackers during our summer adventures to the beach and local water parks! I’ve only ever used Goldfish crackers for snacking, but that’s fun isn’t it? They work great to practice counting! My daughter still loves to see Goldfish Crackers swimming in her soup! She also frosted cupcakes blue like water and let her school Cupcake Club make an ocean scene by decorating with Goldfish. We used goldfish to practice counting when my kids were younger. We usually take Goldfish crackers to the beach and on roadtrips. Our 18-month old loves Goldfish and calls them “gold-sheesh”, makes us laugh every time. The grand kids love Goldfish crackers and that makes us all smile! I like to eat them when I feel the need to crunch something. I put them in my mouth and crack them in half so I feel the “pop” then I eat them normally. My favorite lil’ moment with Goldfish is using the fish to tell stories with younger children. I love seeing what they come up with. I LOVE WATCHING THE KIDS PLAY WITH THE GOLDFISH, IT IS SO ENTERTAINING! WE PREFER THE PRETZEL KIND OVER HERE THOUGH. THANKS FOR THE CHANCE TO WIN! I love tossing a few goldfish crackers down on a blank sheet of paper, and having them use markers to draw a scene based on the fish! watching kids eat gold fish crackers in different ways brings smiles to my face because some will bite the tails off first and some heads and some like to split the goldfish in the middle. we like to trow them in the air and try to mouth cath them. I always keep a little ziplock bag of goldfish in the car in case my daughter needs a snack while we are out. She loves them! Goldfish crackers have always created great moments for my kids and I especially on roadtrips. They like to make stories with them and of course eat them afterwards! When my son had 100 days of school project we decided to do a Ken doll standing with a fishing pole in a fish pond in the pond it had a 100 gold fish in it. My son loves these snacks til this day as a teen. My kids like goldfish crackers for trips. I would like to win so that I can go for a nice dinner. I enjoy watching my kiddos enjoy goldfish crackers. :) That brings a smile to my face. Watching the joy on my little’s face while eating “fishy crackers” is the best. It must be so rewarding making these designs for kids to play with. I tweeted this page. My kids love to play “catch that fish” with these yummy little crackers. :) basically, we toss the fish in the air and try to catch them in the mouth with no hands. Yes, we sometimes make a mess, but we all had so much fun. Growing up I was part of a family of 6 which I loved, but my mom stayed home with us so we hardly ever had extra money. We took 4 vacations during my childhood that I can remember. Since we didn’t get a vacation every year they were a big deal! We always asked my mom to buy goldfish but they were a special treat reserved only for roadtrips, which made them extra special! 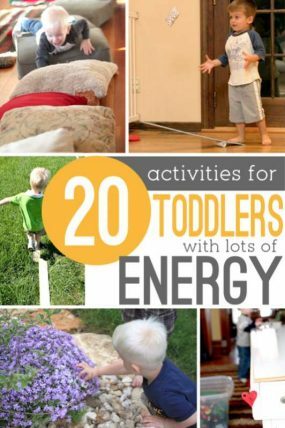 These are great ideas to try with my niece! My favorite activities for my kids are counting and sorting the colored Gold Fish. This not only helps them with their counting but also their colors and they can eat them when they get them sorted correctly! Win win win! Eating Goldfish crackers brings back great after-school memories of watching cartoons and snacking. What great ideas! We will try these…. goldfish are always around with my kids, I even have a goldfish cracker tattoo! Now that’s dedication! I love that I can share them with everyone from the kids all the way up to the grandparents! What great ideas! I am getting the supplies out now! When my son was little and we would drop him off at the nursery, he would cry. We’d then tell him that we packed him Goldfish, and the tears would dry up instantly and he’d be fine. I love playing with goldfish crackers with the kids. They have such imaginations they possibilities are endless! I taught preschool for ten years and my students always enjoyed sorting and counting the multicolored goldfish crackers, especially since they could eat them afterwards. Goldfish are great snacks for road trips, they are fun! My son likes the colored ones – he sorts them into the different colors and then eats them one color at a time. I remember my brothers and I eating bags and bags of “fishies” when I was little, sometimes one fish at a time, and often just handfuls. Do they still make pizza flavored? My kids enjoy counting them all out before eating them. I just have memories of my daughter sitting eating her goldfish out of a small bowl while watching tv. They are a great snack for kids. I honestly do not recall my mom ever buying me these when I was younger but I do know that they are perfect for my family. We always have these on hand in the car. Thanks for the idea of the game. Perfect for the summer! Goldfish Crackers always provide fun moments when we go on road trips or camping. We all love eating them and trying to catch them in our mouths. I just remember being a little kid and my mom would always buy me my own bag of these. We always take Goldfish crackers on road trips with us, lots of fun. We use Goldfish crackers for learning how to count! It helps encourage them to want to learn! I have two teenagers who take goldfish in their lunch every day to school. I’ve tried to switch but they protest. They love their goldfish. When she was sick my daughter would smile if I popped some goldfish in to “swim” in her chicken soup. Snacking on them reminds me of being a kid and makes me smile. We like to eat goldfish when we are playing a family game or cards together. i do not have one but I love the stories and pictures on the site . Finding goldfish crackers in the lunch box brings out the smiles. My favorite is when the kids share them. Goldfish snacks are great for long car rides. Goldfish would be perfect for story hour! We love to bring them on trips to the aquarium….or the Japanese tea garden where we visit the beautiful koi! counting goldfish onto paper fish bowls to practice number recognition. As a teacher I used them for fractions! 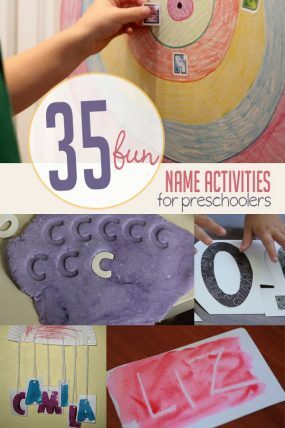 I love trying activities like this with little ones. They are so easily impressed and excited, that it makes the time spent with them well worth it! My kids love Goldfish! I’m excited to try these new activities with them!!! 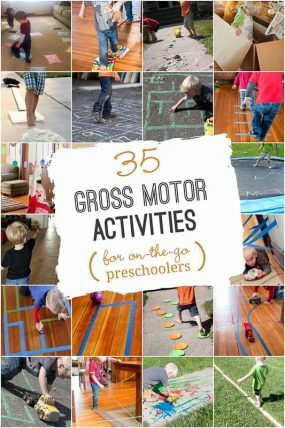 My girls would love doing some of these activities. My youngest enjoys the Goldfish made with natural colors – she likes to sort them by color or make patterns with them before she eats them. I think that the easter goldfish are great-lots of good memories with the colored ones! These are great suggestions for keeping my daughter at the table longer too! My son love Goldfish . He smiles every time when I give him goldfish. Great ideas for all ages! I love putting Goldfish snack packs in the kid’s Easter baskets and Christmas stockings. 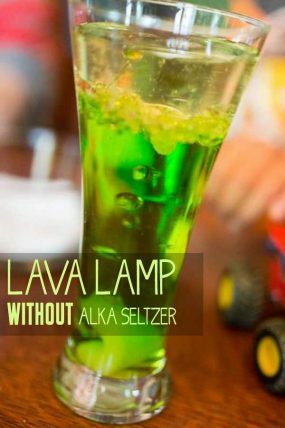 Their eyes light up when they see it and it’s a great alternative to sugar! These are interesting and might work to keep him interested. I really enjoy all the creative ideas you have and hope to use them as our grandson grows. Thank you! This is great! My son loved to sort the colored goldfish when he was learning about colors. We are definitely doing to try blowing them across the table with straws!! So many great ideas for such a simple treat that all the kids love! I am impressed with you enthusiasm. Many sites give freebies and ideas but your genuine passion is evident in your site. Thanks too r all your great deals As a tutor I incorporate many in my teaching. These are all adorable ideas! I think that I will try incorporating the colored goldfish into sorting and counting activities soon! This has been great for fine motor skills for my son and he hates to touch food so this is a good game for him to play as well. His OT loved these suggestions! Another simple yet great activities for my son. This will be great for on the go. Thanks! Whenever my 2.5 year old daughter and I eat goldfish, we sing the “fishy song”. Great ideas! My toddler can’t do most of these yet – maybe I can show her counting or make letters or numbers – but good ideas for down the road. And we of course always have the giant box of Goldfish on hand! These look like such fun ideas – can’t wait to try the math and graphing activities. Now we need to get some rainbow goldfish! My granddaughter loves goldfish…so this is GREAT. Love the ideas, especially the straw ideas! I am doing some of these today! Every time my son goes to the local grrocery store he somehow manages to get goldfish. So we are well stocked! There are wonderful storybooks that contain stories about fish; some are even created by the Pepperidge Farm in that there are little holes in which to place the goldfish. But it would be fun to act out “Rainbow Fish” or another story with the goldfish; especially with the multicolored flavors. Maybe the CEO will read this and get the Product Development Staff working on a gluten-free version of Goldfish Crackers for kids with Celiac?! We love SHARING goldfish. We always bring it to our class or the playground and give it out to the rest of the group. Being an only child, this gives him the opportunity to learn how to share, make friends and enjoy a treat all at once . My son has loved Goldfish since he was little. Now at 21, it is still one of his favorite foods. I also use the fish in the different colors for Math activities in my preschool classroom. As a Grandma, I would never think of taking a wagon ride without a few small tupperware cups full of Goldfish just in case the hungries come on as they always do! I don’t think we have ever returned without finishing all of the Goldfish! I love the colored ones! The blowing activity sounds great!! We’ll have to try that. Thanks! We love to use Goldfish in our snacks and our counting lessons. We have 2 small pictures of fish bowls on their placemats at snack time. We have them put some in one, and some in the other. They compare the amounts, tell which has more or less, estimate how many are in each one, have them eat some and compare some more! At Dr. Seuss’s birthday, we have 5 fish bowls on our papers with numbers in them under 10 and have the students identify them and count out that many fish. (for 1 Fish, 2 Fish, Red Fish, Blue Fish). Using rainbow fish even ties in the theme more! SO much fun! We’ve been working on our shapes and colors so I was planning to outline a triangle, circle, square and star and then have the twins use the colored goldfish to fill in each shape. Then have them try to make each shape all one color each. Love these other ideas too! Wow, Jammie! What a creative person you are! I would never thought using them this way:)And so may ways!Hope spring already rules in your city and gives you even more inspiration and energy. But even if my favourite season does not draw a smile with its flowers and warm sunny days yet you still have the most important flowers in a life of every woman: your children:) All the best and many thanks for your GREAT JOB! Love these Goldfish ideas! We used the colored ones in my Dr. Seuss preschool lesson last year. We graphed them and the kids LOVED it! Great ideas! We love goldfish in our house – Mommy too! I have three little boys that LOVE goldfish and will love these games too! Thanks so much! That’s some great ideas! I definitely need to give these a try for our birthday games! Thanks for sharing! With my 2 year old class, we sort the rainbow fish by colors as a learning activity. I love that they use natural food coloring! Ummm… could you paint them? Or at least glue them into a scene? My little girl loves to bake so maybe grind them up a new coating for chicken nuggets?? If they were colored ones or the baby ones you could do ratios (3 out of 4 are this color, 4 out of 10 are small etc…) or use them for adding or patterns..
Do Goldfish Jenga..how many can you stack? Give them names and make up stories about them.. I was thinking that the transfer activity could also be a “go fishing” game as well; using the straw as a fishing pool. Also, we did a similar thing with celery sticks and peanut butter, using the celery sticks as the poles and the peanut butter as the “bait”. :-) I love sitting down with my boys to snack on goldfish—we all love them! What i wouldn’t give for a gluten free gold fish cracker! We (I lol) miss them dearly! Looks like good, simple fun! I love these activity ideas using goldfish! Now I have to find a way to not have my daughter eat all of them as I’m showing her how to do the activity! She loves goldfish! We use goldfish in our preschool class for children with developmental challenges as a great first crunchy finger food or a treat for doing a good job. We sort goldfish by color, count them, use them in craft activities…. I’ve always loved goldfish, and always had them on hand here at home when my children were young. Well, to be honest…as they got older (they are now 15 & 12), I had stopped having a stock of goldfish in the house. I thought maybe they had ‘outgrown them’. What was I thinking? Last summer at the grocery, goldfish were on sale…and my daughter almost yelled “We HAVE to get goldfish. Why don’t we ever have these anymore?!”. I learned my lesson that day…now we always have goldfish in the house! I never thought about using gold fish crackers in so many ways! Knowing that they are peanut free is also a bonus as our school is going completely nut free next year. They will be a great addition to my Kindergarten classroom as tools as well as snacks. I used to be in the Navy and a squadron-mate was addicted to Goldfish. We would count down the weeks of deployment by eating one bag of Goldfish a week. It was a lot of bags of Goldfish to bring on a deployment, but we went through them fast enough. Tweeted, hope I did this right. I’m not very twitter or Facebook savvy. Goldfish are about the only snack food, besides fruit and veggies, my kids can bring to school for snack. So, of course they are a go to for us. However, I love the fun ways to “play” with the food for my preschooler and toddler; especially the straw one. :0) Thanks for taking the time to share fun ideas! So the only thing I could do with my 2-year old is have her count the goldfish crackers. For such a lucky eater, I couldn’t keep them on the table to count. I don’t have any goldfish on hand but this looks so fun with just a little preparation that I think I’ll try it with some pasta beads tomorrow. Thank you for great ideas! Sharing goldfish at a playdate with friends always brings big smiles! My kids love to share them…and eat them! We love using them (and eating them) to role play a song I made up that’s similar to 5 Little Ducks. He led the others with a “Blub, blub, blub. Then you eat one and follow it with 4 gold fish. We are going to buy the colored goldfish tomorrow and sort by colors. My 14 month year old loves goldfish so what better way to help him learn his colors! We are also going to try out the other goldfish ideas with the straw. Thanks a bunch!! These are great easy and fun activities. We think counting out goldfish crackers as we put them into container is also fun. my 11 yr old still comes home every day after school and has a bowl of goldfish – she has loved them ever since she was a baby! they are a staple in our house. my younger two kids like some of the other new flavors but she eats nothing but good old fashion original cheddar goldfish, won’t even consider trying any other kinds! And I LOVE when gramma visits and just loves to snack on goldfish too – she admits she won’t buy them for herself – she thinks they are just for kids but can’t wait to enjoy a handful when she comes to visit : ) !!! My daughter was looking at this activity with me. Now she is begging for goldfish crackers. :) cute ideas! Thanks; I needed some extra tips today. You add such fun with simple tools. <3 Perfect. There are so many fish stories in the bible. We love acting them out with goldfish and then chowing down on them. Goldfish are awesome! I love goldfish! They have no added sugar, so it’s a family friendly snack for us all. I found pink “princess” goldfish the last time I was shopping which was really fun for my little girls! They’re the perfect snack for after gymnastics class for my two granddaughters. I love all these goldfish ideas!! Especially the transfer goldfish – it’ll tale great patience and determination! We love goldfish! It was one of the first foods that we found that weren’t processed around nuts. It is still my sons favorite snack and he is 8. I love the blowing the goldfish with a straw and the hockey one for my preschool students. They are always looking for a challenge. Thanks for sharing these ideas! Goldfish have been our snack of choice for church forever. And since we save them for church, they are always novel. Even though they can get a bit crummy, they are so entertaining! My girls make them swim across the pews, tell stories about the ocean, and run from the sharks. Thanks for sharing your ideas to add to our fun! Good tips! I like Goldfish crackers to play Bingo games with (ABC or Number or Shapes). They make great markers and the kids get a little snack when they bingo! Fun to play with and learn…plus fun to eat after we‘re done. Goldfish is our go-to snack of choice! We take these on all of our every day adventures. Everything is a little more fun with goldfish. Goldfish crackers bring big smiles on each and every road trips with kids. Our best memories are made by spending time together as a family. Eating Goldfish crackers on a bench at the park after play time makes me smile. We love the fun flavors of goldfish, like the vanilla cupcake! Looking forward to trying these ideas out. My kids love using straws, so I think it’ll be a big hit! My kids love there Goldfish, every time we go out for an outdoor adventure my kids remind me not to forget to pack there Goldfish. After-nap snack is our tradition, and we love Goldfish. We love the taste of goldfish crackers and enjoy trying the different flavors. Our child always loved getting a little snack pack of them at certain restaurants with her kids meal. This “big kid” and her hubs always get a smile out of Goldfish crackers. We pop the pretzel ones too! I love the grins on my kids faces when I surprise them with goldfish, especially when they are wanting to try a new flavor. The little moment with Goldfish crackers that brings big smiles is when the kids use them to make crafts. They like to glue them onto paper plates and makes ocean scenes. I love seeing my daughter create decorate gingerbread houses with goldfish and using the crackers to help her out with math problems! there are always smiles and happier moments with goldfish crackers when on road trips. We love Goldfish crackers and they bring big smiles when my son shares them with his friends and gives them in little bags! The kids in our house put the goldfish crackers in the fish tank once. It makes me smile when I see my daughter trying to feed goldfish to our dog. Goldfish were the standard bring along snack when my son was a toddler and he always wanted to share them! I took my kids to the Pepperidge Farm outlet store recently and they both loved it. They choose the flavors they like, which always makes them smile. We pack them for their school lunches. I remember how my son learned to count using Goldfish crackers. It was fun.